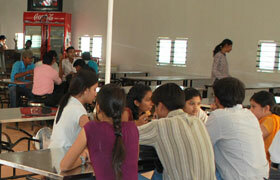 A pool side canteen serving quality controlled eatables and soft drinks in a hygienic environment on campus. 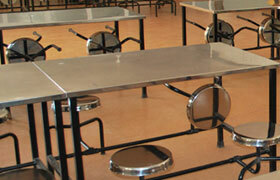 A modern lunch room with sitting capacity of 500 is under construction. Since the campus is vegetarian, non vegetarian food allowed in lunch room area nor it is permitted bring the same from outside. 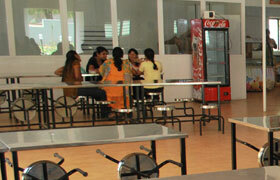 The canteen is operated on no profit and no loss basis.